Britain’s bravest postie foiled his 14th robbery by laughing in the armed robbers’ faces! Britain’s bravest postie foiled his 14th robbery by laughing in the armed robbers’ faces and telling them to “p*ss off” – despite being faced with a SHOTGUN. Paul Bennett, 59, was working alone when a pair of would-be robbers threatened him with a shotgun. But the heroic dad-of-two surprised them after he told them to “p*ss off” and watched as they gave up and left. 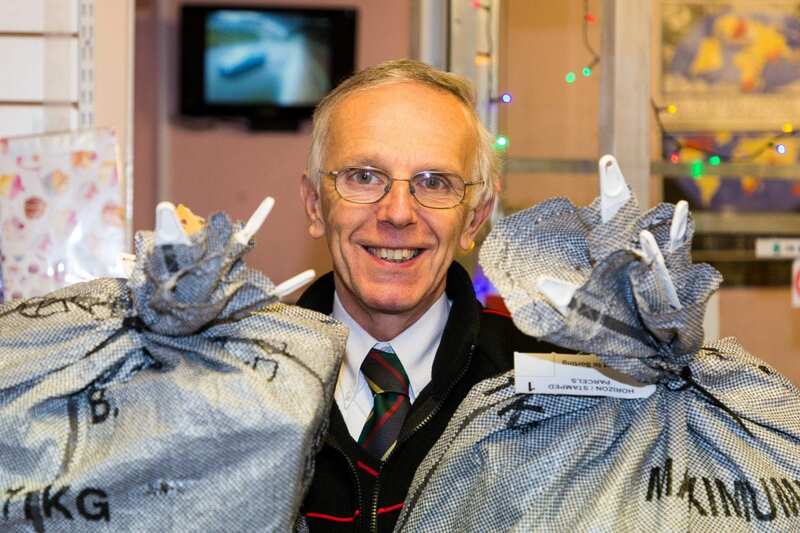 Paul, from East Grinstead, West Sussex, who started working in his parents’ Post Office when he was 15, has foiled 14 attempted robberies. He said: “I’m very calm and collected – nothing phases me now. “Two guys walked into the Post Office, one stayed by the door, the other one came straight up to the counter. “He had a holdall with a shotgun poking out at the front. “He said, ‘give me the money’ – the police said he must have been to robber school. “I actually said p**s off. He said, ‘no mate, I’m serious, open the safe. “I said, ‘it’s not going to happen’ and walked away from him to the corner where I’ve got a brick wall between me and them. “It was just a case of, ‘no, it’s highly unlikely you are going to shoot me otherwise you would have done something’. “He looked at the other guy and shook his head and they left. I think he was just surprised I said no. Speaking after Sussex Police appealed for witnesses to the attempted robbery at the Stone Quarry Sub Post Office last Friday, he added: “I actually built this one 30 years ago. “I’ve worked for the Post Office and banks for 40 years. “There were many robberies in the 80s and 90s – it has definitely flowed up recently. “I’ve probably had a seven or eight gap between the last two. “I’m now 59, my parents had a Post Office when I was 15. Brave Paul has so far stopped 14 robberies – and even has his own methods for dealing with attackers. He said: “It’s unfortunate but as I say I tend to keep calm and I slept well on Friday – I’m not going to have nightmares about it. “If I had been an 18-year-old girl working in one of the open plan offices we probably would not be having this kind of conversation now. “There was one in south London where they actually fired the shotgun – that probably the scariest one. “That was back in the 80s, gun fired into the ceiling, ‘give me the money or the second barrel’. His last attempted robbery was at his Post Office in June this year. He added: “That was a youngster with a crash helmet and he tried to get through the parcel hatch with a knife but I hit him back and he went. A police spokesman said: “A postal worker bravely foiled an attempted robbery in East Grinstead. “The suspect who demanded the cash was about 5’6”, aged 35-40 and spoke with a local accent. He wore a white boiler suit and appeared to have a shotgun in a black holdall.